Karim Benzema has been amongst the most criticised players in world football over the last six months. Cristiano Ronaldo's departure from Real Madrid left big shoes to fill. The Frenchman started out with a fine response, scoring four times in the first five games of the new campaign. It led exclamations by some that the former Lyon man had finally broken free from the shackles of playing second fiddle to the five-time Ballon d'Or winner. Suddenly, the goals dried up. And then the usual negative comments started flowing in. When a striker goes for several months without netting a single goal in the league despite playing regularly, it becomes a source of concern. Thankfully for the player, that was not from his manager or the club hierarchy. Trusted by all the bosses he has worked with in the last year, be it Zinedine Zidane, Julen Lopetegui or Santiago Solari, Benzema has had no need to worry about his place in the team. But when the team consistently struggles to replicate the form that saw it lift continental silverware for three consecutive terms, scapegoats will be sought. The hierarchy laid the blame at the doorstep of then new manager Lopetegui. He was sacrificed. Yet, things remained largely the same. As is usually the case, time heals. After a while, the team has finally picked up form. seven wins and a draw in the last eight games have lifted the side from mid-table in La Liga to third place. It has also secured a semifinal place in the Copa del Rey. And after drawing 1-1 at the home of arch-rivals Barcelona in the first leg of the competition, there is hope of getting one over them to reach the final this time around. For a team that has struggled to adjust to life after Ronaldo, reaching even the semifinal is a huge achievement. Sure Real Madrid will want to win them all when it comes to trophies, but sometimes the team is just not ready. That is how it appeared as the side grappled with the possibility of an early exit from the Champions League and losing out on the title race. But things have taken a swift turn for the better and the horizon is looking good again. There is now a genuine possibility to win the Copa del Rey and challenge for more trophies this season. Having not won the Copa for the past four years as Barcelona has held sway, reclaiming the prize will be a welcome development. Benzema has been key to helping make that happen. The 31-year-old has recently found his scoring boots again and is rolling back the years. He is reliving the top form that attracted the attention of the Madrid hierarchy to secure his services while he was still in France. Six goals scored in the last five matches speaks of a striker on fire. Yet that's not all. His overall contribution to the team's play is impressive as he works hard off the ball and provides good linkup play with the forward line and the midfield that leads to goals. His performance has been instrumental to the team's resurgence, although the manager will still take a larger share of the credit. The recent success must be attributed to the manager having found a way to get the best from his players, including Benzema. Los Blancos gave a commanding performance putting Alaves to the sword 3-0 on Sunday. The result reduced Barcelona's lead at the top of the pile to eight points. Benzema played a crucial role in the encounter again. The team now looks set to give the top two a fight for their money towards the end of the campaign. The question though remains: for how long will the spell last? Can the club's number nine keep the momentum going for the rest of the season? Still very much with a chance of winning the treble, will the team go on to shock the world again? With an eight-point gap, it is highly unlikely that Madrid will present any threat to Barca's title run. Atletico have a better chance of doing that. But the Blaugrana are experienced enough in these matters to know how to navigate their way safely through to end the campaign as champions. Madrid's biggest opportunity for silverware this term lies in the Copa del Rey. 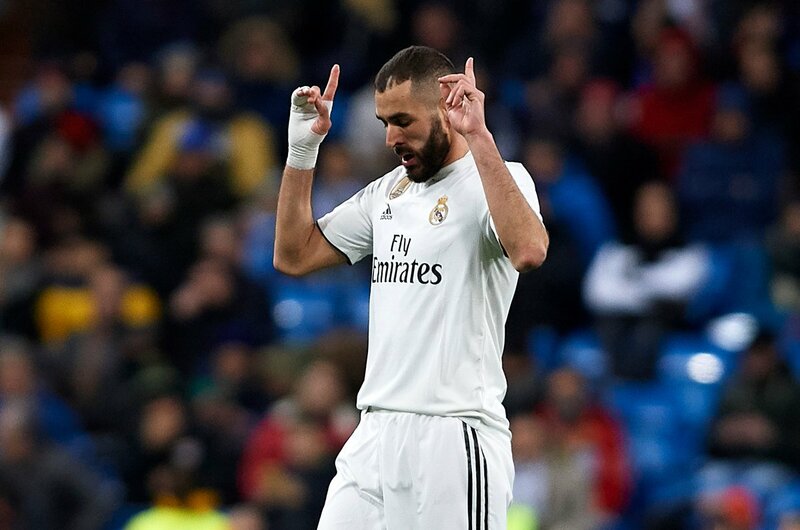 If Benzema's newly found form can help them overcome Ernesto Valverde's men in the second leg, that should be enough to finish the job against either of Real Betis or Valencia in the final. As for the Champions League, we will most likely witness the emergence of a new champion this year.